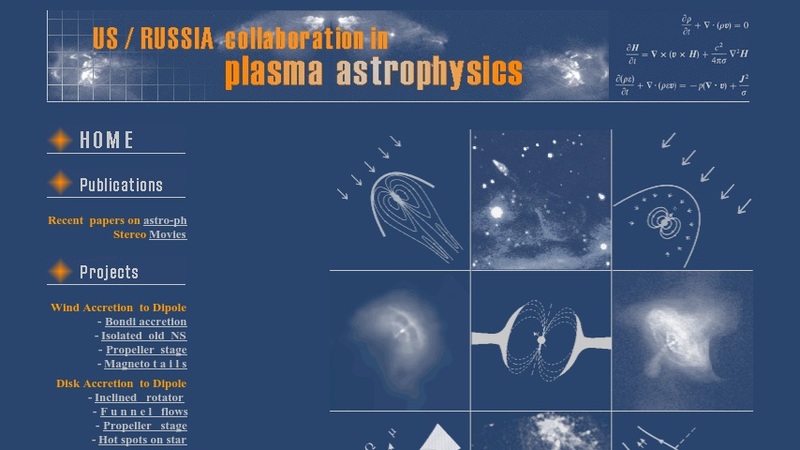 The US/Russia collaboration in plasma astrophysics combines the efforts of scientists from two groups -- the Russian Academy of Science Institutes and Cornell University -- to solve many of the complicated problems associated with the magnetohydrodynamical (MHD). Students and educators can find thorough descriptions about the collaboration's studies in wind accretion to dipoles, disk accretion to dipoles, the origin of jets, and the accretion disks theory. Researchers will also find numerous downloadable published papers from 1992 to present.